Home > Blog > Are You Ready for the Total Solar Eclipse of 2017? Are You Ready for the Total Solar Eclipse of 2017? For those of you who might not have heard, the US will take a front seat for the celestial event of the century! On August 21st, beginning in the northern Pacific, a Total Solar Eclipse will be visible within a narrow corridor crossing the USA from west to east through parts of Oregon, Idaho, Wyoming, Nebraska, Kansas, Missouri, Illinois, Kentucky, Tennessee, Georgia, North Carolina and South Carolina. You won’t want to miss this! 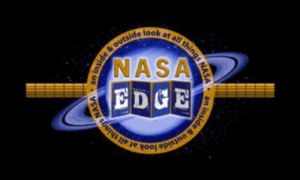 We are teaming up with NASA Edge again!! Lunt Solar Systems is very excited to announce that we have been subcontracted by NASA and Goddard Space Flight Center to team with NASA Edge for the Live broadcast of the 2017 Total Solar Eclipse from Carbondale, Southern Illinois. The event is open to the public and will be broadcasted locally in the stadium and live via web. Lunt will be providing a Solar Lab that will house a 20” Heliostat feeding Sunlight to 3 @ 230mm Lunt Solar Telescopes fitted for Hydrogen-alpha, Calcium-k, and White Light. The images will be captured using RED monochrome cameras, processed in real time and broadcast live in 4k. Want to learn more about how to have the best Eclipse experience? 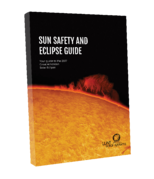 Download our FREE Sun Safety and Eclipse Guide! This e-guide is packed with the do’s and don’ts of Eclipse viewing, the best places to view the 2017 Total Solar Eclipse and information about each phase of the Eclipse – this way you know exactly what to expect during this phenomenon. So naturally, we are gearing up production to make sure we can supply as many people as possible with our amazing solar viewing gear. Not only are we taking orders for solar telescopes and filters but we also have several eclipse products in stock now! This includes our Lunt Solar Eclipse Glasses, 8×32 SUNoculars and 6×30 mini SUNoculars in all colors! Both sizes are great for the whole family. Check our our Eclipse Products page and order today!